We all love a quiz night! 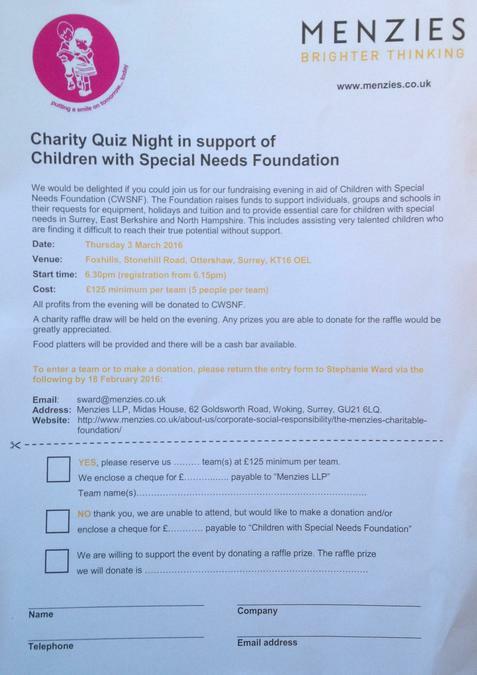 Why not come and join us at Foxhills on March 3rd for the Menzies Quiz Night, with all profits going to the CWSNF. See the form below for details.